Working in Team Explorer 2012, one noticeable change is the administration for a team project or collection. It has been moved to the Web Access application. 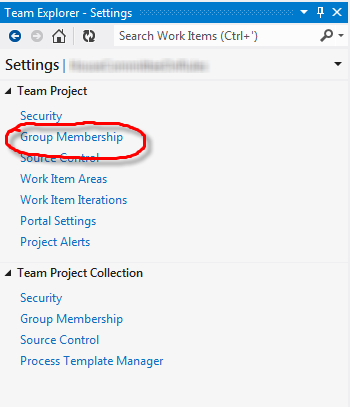 When trying to add a user to a group in a team project, it may seem confusing due to the user not showing in the drop-down and not being able to browse to the user unless the person has already been added to a group somewhere in TFS. It turns out this is because this feature has been moved to a Web application and out of the desktop application. 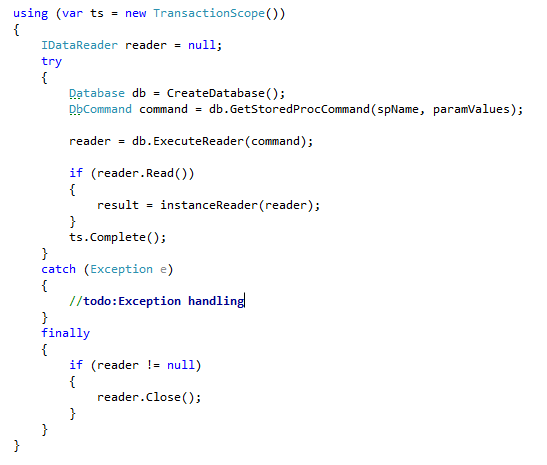 Here is what you need to do to add a new user to a team project that has not been added anywhere in TFS 2012. In Team Explorer, go to the settings screen and click on Group Membership as seen below. This will take you to the security screen in the Control Panel. To add a user to a team project, select the group on the left side of the screen, (e.g. selecting the “<team project name> Team” link on the left will add the users to the Contributors group). Then click on Add > Add windows user or group seen below. This will open the dialog to select the user as seen below. There is a message on the dialog explaining what needs to be done, but it is easy to miss. The problem is if the user has not been added to TFS anywhere, they will not show up in the drop-down and you will not be able to browse to find the person. The only way to add the person is to manually type in the person’s username with domain, e.g. domain\username. 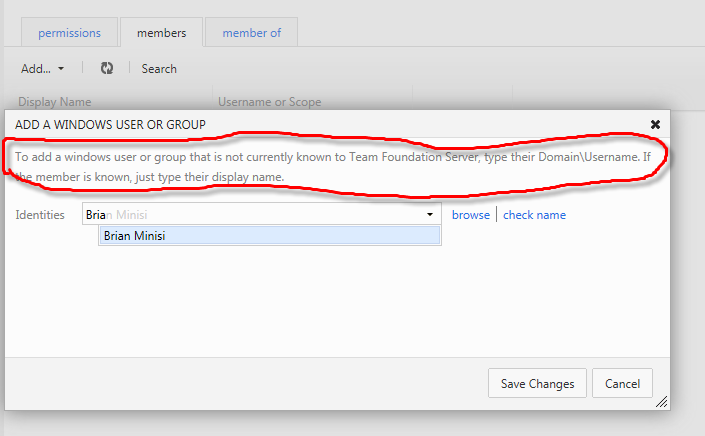 Once the person is added, the identity will be added to the TFS valid user group and will be available going forward. The reason for this is the Web application is unable to check or browse the domain since it is browser based and not a desktop application. Working in the Web Access tool in Internet Explorer 9, I noticed most features missing from many of the screens. There are problems in the Control Panel screens, Product Backlog, etc. Key elements of the page do not load. What makes it even more puzzling is everything works in FireFox and Chrome. If you are experiencing this problem, refreshing the page (F5) loads all elements of the page. However, this is on a page-by-page basis. The problem may be caused by an add-on. In my case, it is the Google Toolbar. I disabled the toolbar and set the default search for address bar searching to google in Internet Explorer. The Web Access application is now working. You should see an Installation Options section near the middle of the page.